Like many Canadians of my generation, I came of age in the 1960s, a time of great idealism and social upheaval. As a teenager living in rural Manitoba, my personal exposure to the great movements for social change was vicarious; my world view largely conditioned by what I could read, watch on TV and absorb from the movies. Looking back I am amazed at how easy it was to adopt completely contradictory political positions, for example, to cheer on American blacks in their struggle for civil rights and to be blissfully unaware of the grinding poverty and racist oppression of aboriginal people in my own community; to see the American invasion of Vietnam as a horrendous crime while cheering on the Israeli army as it triumphed in the “Six Day War” of 1967. Young people are idealists by nature with an instinctive sympathy for underdogs of all kinds. Messages of freedom and equality resonate with youth, in part because they experience the inequality and lack of freedom that accompany parental control. The direction their idealism takes and their ability to identify underdogs depends pretty much on what they learn, at home, at school, from the media. As the ‘60s progressed it became possible to understand the injustice and horror of the Vietnam War and the just demands of the American civil rights movement: these were on display on the evening TV news. Aboriginal people didn’t have a media voice; they were invisible. And as for Israel and my youthful Zionism, well, I blame American novelist Leon Uris. His 1956 epic novel, Exodus, published in 50 languages, fell into my idealistic mitts in the mid-60s and I was entranced. Who wouldn’t be moved by the heroic saga of larger than life freedom fighters carving out a homeland where survivors of the Holocaust could find refuge? Who wouldn’t be inspired by the idealism of the kibbutzniks transforming an arid wasteland into an oasis, and building a democratic bastion on the frontiers of feudal ignorance and tyranny? I imagine the book is still in print and widely available in libraries, as is the 1960 Oscar winning film of the same name starring Paul Newman and Eva Marie Saint. You should check them out because they contain the major propaganda elements that underpin the Zionist project. Like all effective propaganda, Exodus contains a mixture of verifiable facts on one hand and arguments made plausible by the omission of important information. The single most glaring omission is the concept that Palestinians had every right to remain in their homes and communities, free from violence and repression. 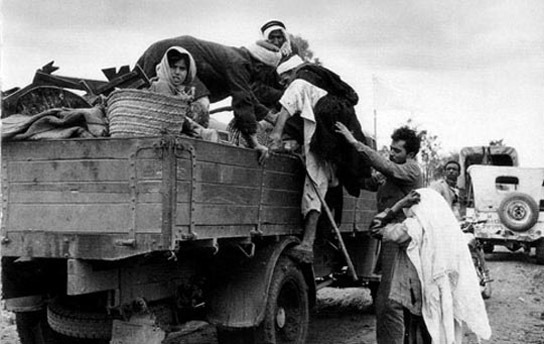 While Israelis are celebrating the 60th anniversary of what they refer to as their War of Independence, for Palestinians, this period in history is called “al Naqba” – “the Catastrophe.” They mark their forced expulsion from Palestine on May 15 every year. 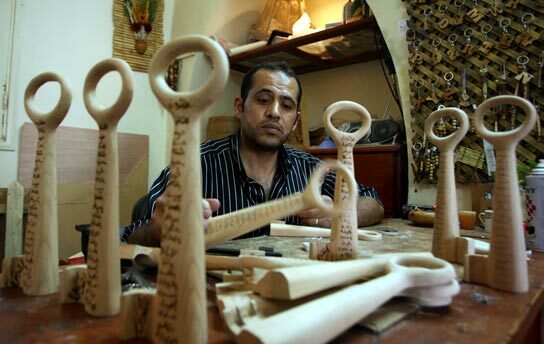 By 1950, the United Nations Relief and Works Agency had registered 914,000 Palestinian refugees, nearly two thirds of the Palestinians living in Palestine before Israel was created in 1948. 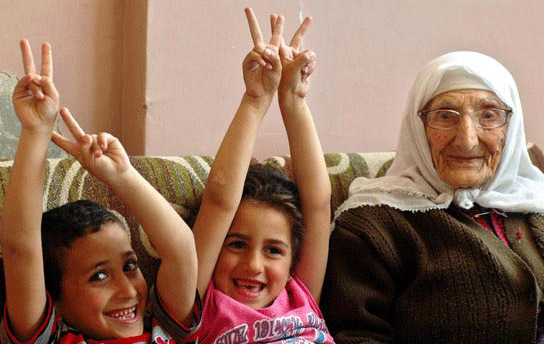 Some fled their homes out of fear, having heard of the civilians massacred at Deir Yassin. Others were forcibly driven from their homes, including the 70,000 people expelled from the towns of Lydda and Ramleh. Hundreds died in what became known as the Death March. Over 400 villages were wiped off the map. Today we call this “ethnic cleansing.” It was as wrong in 1948 as it is today. The situation in Israel today closely resembles the apartheid system that oppressed South African blacks for decades. I know this comparison will anger folks who never got beyond the Gospel According to Leon. However, a growing number of Canadians are standing up for Palestinian rights. Call on other Canadian unions to lobby against the apartheid like practices of the Israeli state and call for the immediate dismantling of the Israeli-West Bank wall. This is encouraging and I think we will see many more efforts like this in the years to come. The media choices, both alternative and mainstream, are vastly more numerous and accessible than they were in the ‘60s. There is no valid excuse for uncritical acceptance of official mythologies. On the subject of Palestine, a good place to start is http://electronicintifada.net/new.shtml. May 15 is also the day chosen by Bloggers Unite for Human Rights. Check it out. And finally, the Winnipeg branch of CanPalNet is marking al Naqba today at the Manitoba Legislature. Events begin at 5:30, and if you feel like camping out, folks will be setting up a “Mock ’48 Refugee Tent City.” You can contact CanPalNet at canpalnetwinnipeg@yahoo.ca (204-947-5093). It’s really worth writing about something that can lift our Rights! I stand besides your post in this DAY that Bloggers are uniting for one common Purpose! Great post! It’s really great to see someone else writing about the Nakbah – which unfortunately still continues.